A crucial aspect of Fitness is understanding the context of any FitSpace. This image in from an analysis of Salem, MA. Salem has unique opportunities and constraints for being active just as any place would. 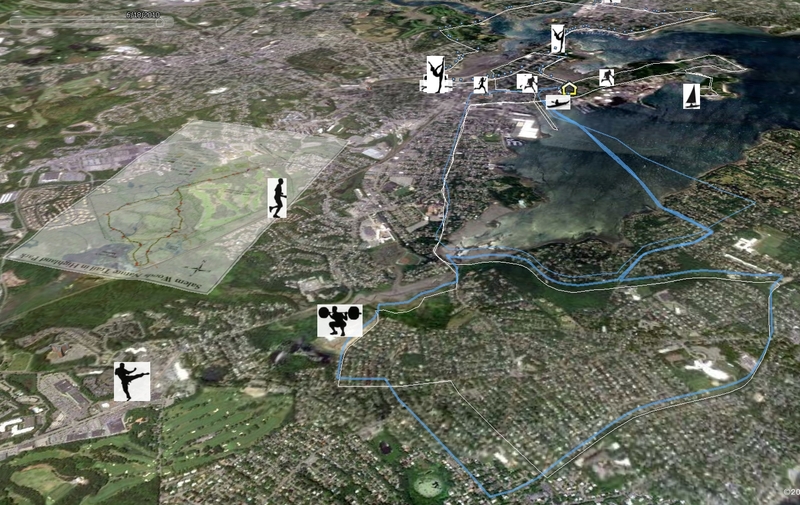 A unique 'terrain workout' in Salem is what I call the swim/run and it's represented on the map with the blue path crossing the harbor and then circumnavigating back along the the water from Marblehead to Salem. 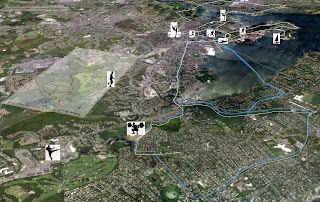 This activity is unique to areas with swim and run opportunities and is made apparent by studying the context at this larger scale.